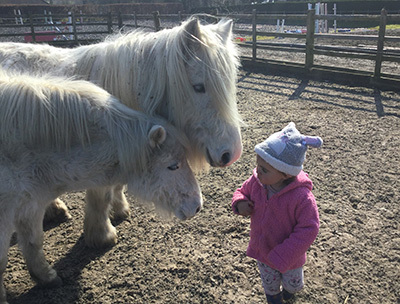 Misty and Smokey are the family shetlands. Olivia loves riding and grooming them and Kathy also uses them for giving kids lessons. They are a big part of the team!